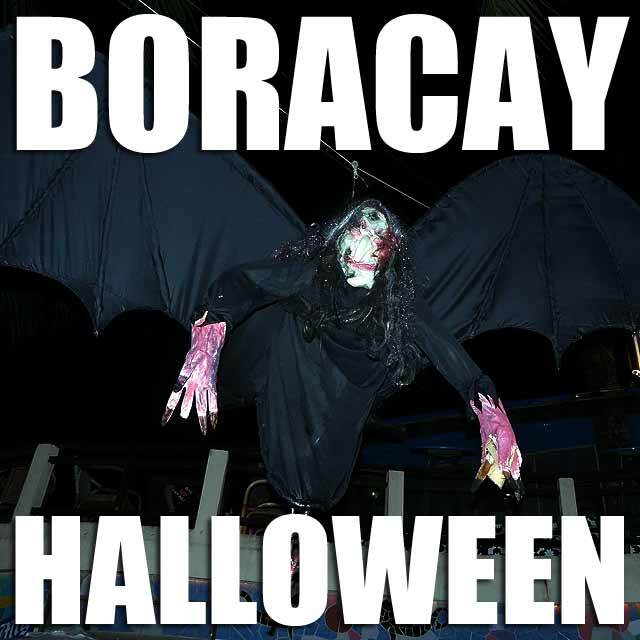 I found myself on a SEAIR flight to Boracay just in time for the Halloween. 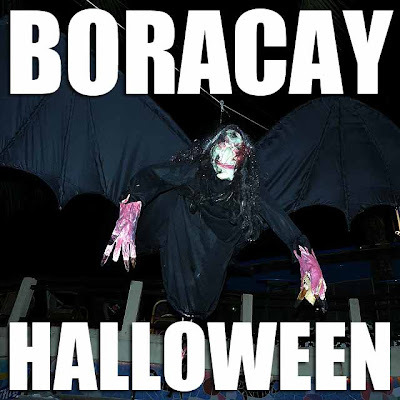 Boracay is actually one of the best places in the Philippines to celebrate Halloween. Halloween being a Western tradition and Boracay being a destination for Western tourists, you'd see a lot of Boracay visitors in some of the most creative, wildest and funniest costumes as they party on Halloween night. The festivities actually start in the afternoon when the kids and those young at heart go trick-or-treating around D'Mall and other participating areas. It was a bummer though that this year's Halloween was a very rainy. 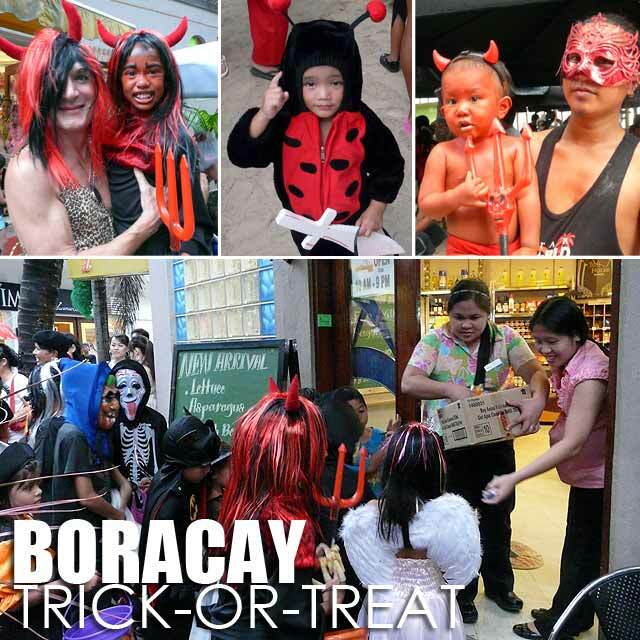 After checking out the trick-or-treating, I claimed my free pair of Havaianas. I was on a lucky SEAIR flight where every passenger is given a pair of Havaianas. In the evening, we visited Discovery Shores Boracay to enjoy their special Halloween buffet spread and check out their horror house. 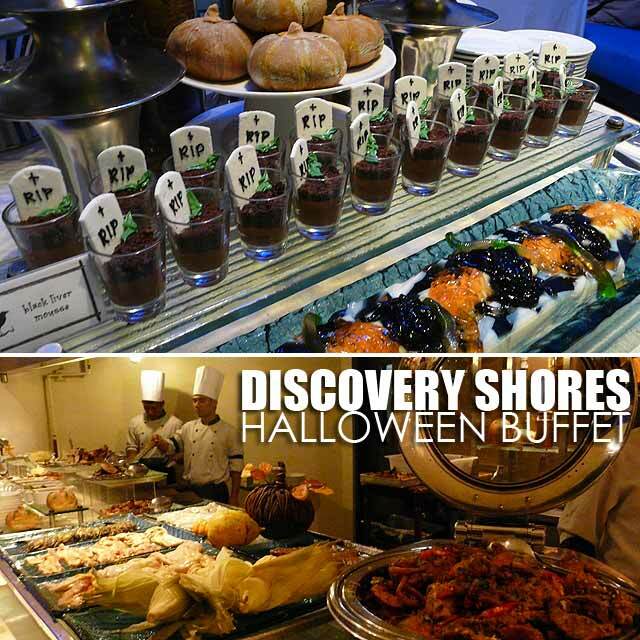 The buffet spread was quite creative, particularly the desserts. 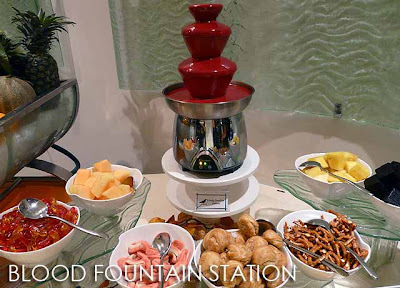 Aside from the usual decor, there was the Bloody Fountain Station (white chocolate fondue that was colored red to make it look like blood) and Black Liver Mousse (chocolate mousse with tomb stone fondant) among others. 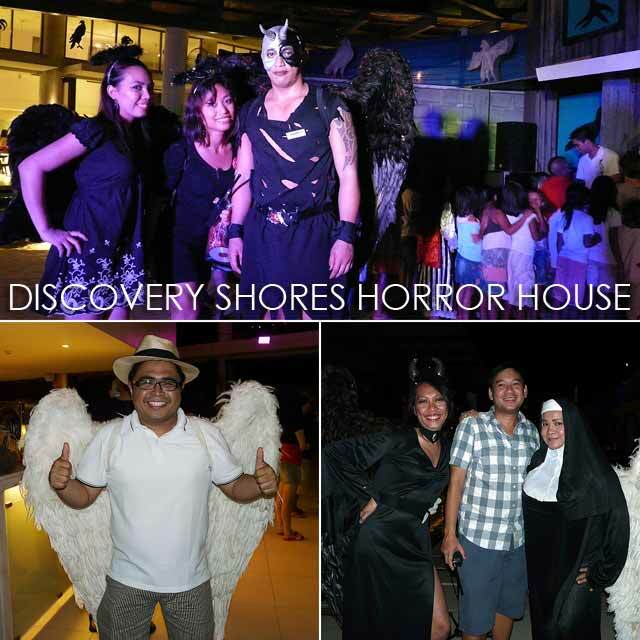 And kudos to the staff of Discovery Shores for the effort they put in the horror house! Each chamber in the horror house was conceptualized by one department. And the actors inside are the staff themselves. You could hear the kids scream from outside as they went through the various rooms of the house. From Discovery Shores, we walked along White Beach to check out the Halloween happenings. 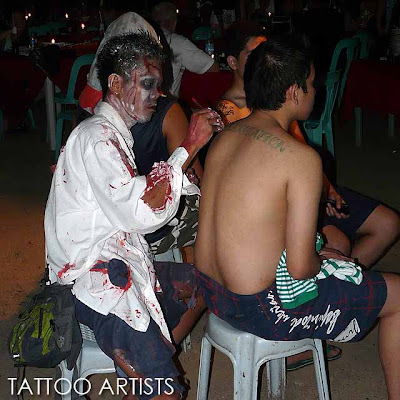 Most establishments had something for Halloween. 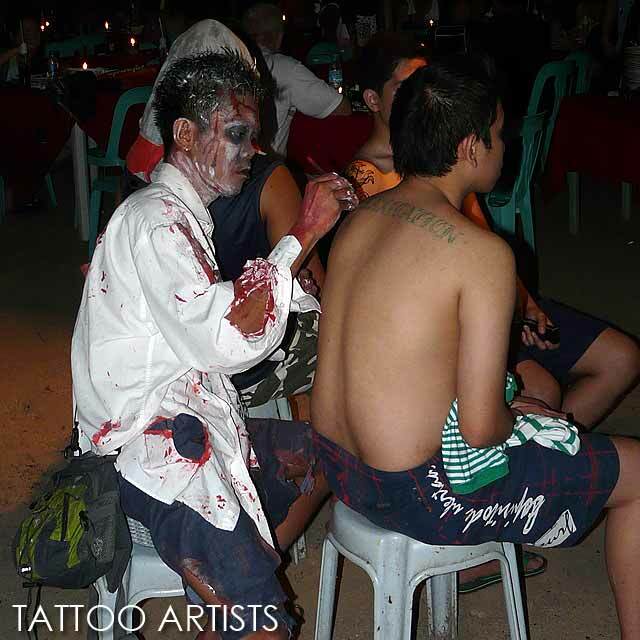 Even the henna tattoo artists were dressed up for the occasion. 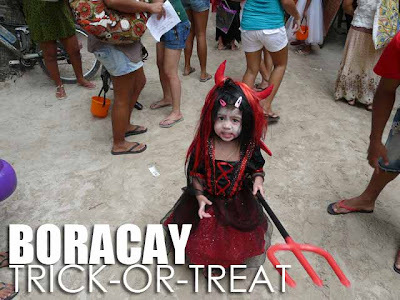 Unfortunately, there weren't too many people compared to previous Halloweens since it had just rained. 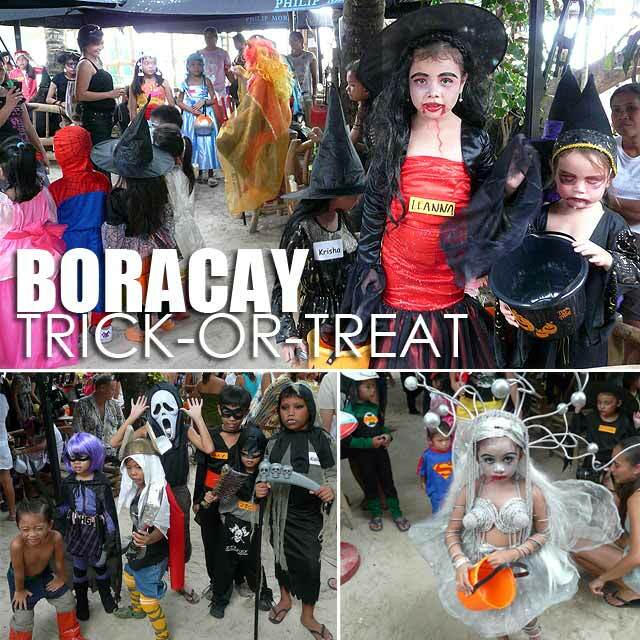 But by 9 p.m., the foreigners were trooping back to D'Mall to party in their crazy costumes. Indeed, Boracay is a major Halloween destination for the Philippines. Even if it rained again, the partying still continued. Check out the SEAIR Fan Page or SEAIR Boracay Beach Party Coverage 2010 on Kalokohan.com for more photos. 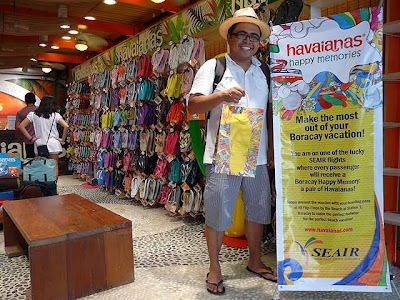 Boracay: Mandala Spa is the best spa in Boracay!